It's that time of the year again. Hope to see you guys there! 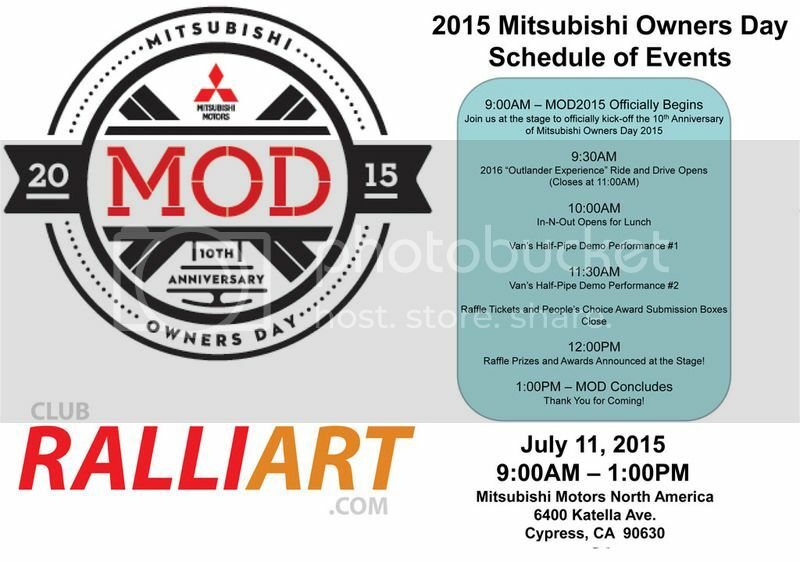 ClubRalliart will be at the same location as the SoCalEvo.net booth as it is owned by the same entity. But don't let that stop you from coming over to say hi. Every year people meet up sooner and sooner!!! Sonics crew meeting up at 3am!!! WTF!!! this year doesnt appear to have any groupings with regard to parking, at least according to the map. usually they post what section the Evos park, the 3000GTs, etc. Im guessing its gonna be a free for all. 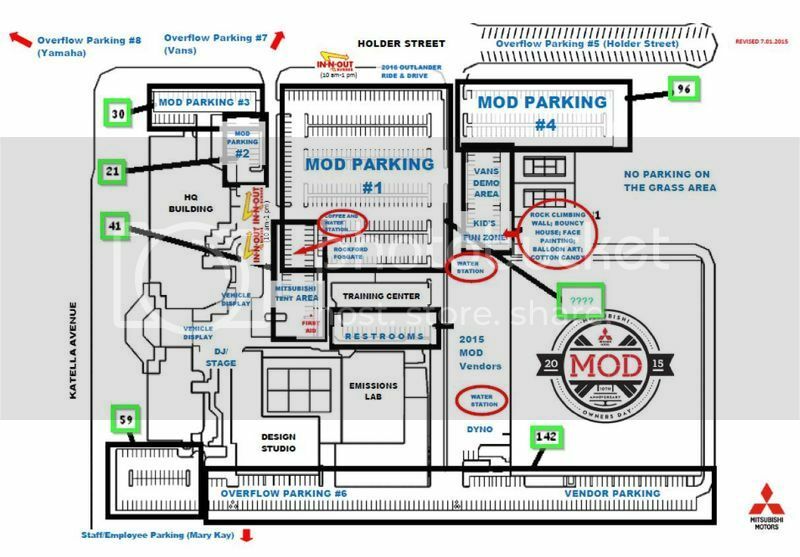 based on this map (unfortunately Mitsubishi forgot to label how many fit on the main lot), parking inside will be approximately 400-500 cars max including vendor parking. so it might be a good idea to camp out to make sure you get a good spot.